Mill Creek Environmental (MCE) performed a Phase 2 Environmental Site Assessment outside of Little Rock, AR. The purpose of this investigation is to evaluate whether soil and/or groundwater at the subject property has been impacted by recognized environmental conditions (RECs). MCE reviewed a Phase I Environmental Assessment (ESA) of the subject property previously prepared which identified RECs based on past and current use of the property as a trucking terminal facility and past petroleum releases located on two (2) adjoining properties, to the east and west, respectively. This investigation is intended to provide information regarding the presence or absence of contamination as a result of these historic operations and offsite conditions. 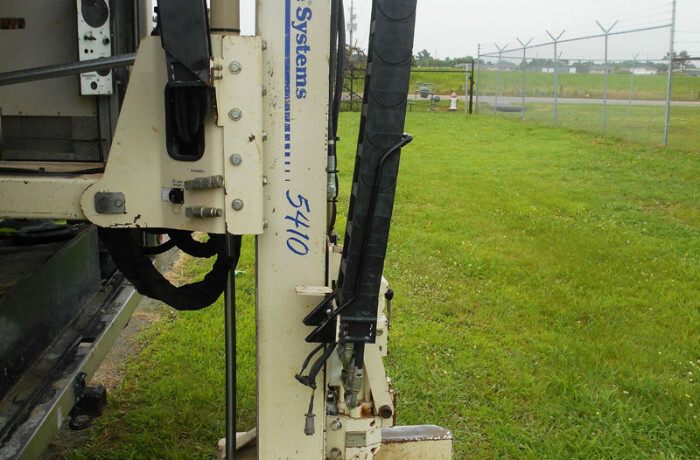 To complete this investigation, direct-push soil borings were completed and analyzed, headspace vapor analysis was conducted on soil samples from each borehole at 2-foot intervals to determine if volatile organic vapors were present, soil and/or groundwater samples were collected from each soil boring and submitted for laboratory analysis. This property is a 15-acre parcel used for light industrial purposes associated with commercial trucking services. Improvements to the subject property include a 20,000 square-foot steel frame building on a concrete slab surrounded by parking space for commercial trucks. The building is designed as a tractor trailer fueling and service station with seven drive-in bays. One of the bays serves as a truck wash and one of the bays contains an 80-foot service pit. Other areas of the building serve as a parts room, business office, and truck driver’s lounge. The groundwater samples were analyzed for VOCs by the method listed above and polynuclear aromatic hydrocarbons (PAHs) by EPA SW846 Method 8270C. Laboratory analytical data indicated that arsenic was detected in soil samples exceeding the USEPA Regional Screening Levels (RSLs) of 3.0 mg/kg for arsenic in industrial soil. However, arsenic concentrations in the State of Arkansas are known to naturally exceed the USEPA RSL, as supported by the US Geological Survey Paper 1270, Element Concentrations in Soils and other Surficial Materials of the Conterminous United States (1984), which reports a background concentration of 6.5 mg/kg for arsenic in the area and was agreed upon that no further investigation is recommended for this detection. During a brief conversation with the Arkansas Department of Environmental Quality (ADEQ) Hazardous Waste Division, MCE was advised that the State of Arkansas does not enforce the RSLs for arsenic in soil due to the higher regional background concentrations. No VOC or TPH constituents were detected at concentrations above laboratory reporting limits in the soil samples. Based on the results of the LSI, soil and groundwater at the subject property do not appear to have been adversely impacted by historic use of the property as a trucking terminal facility or by past petroleum releases on adjoining properties to the east and to the west. MCE does not recommend further investigation at this time.